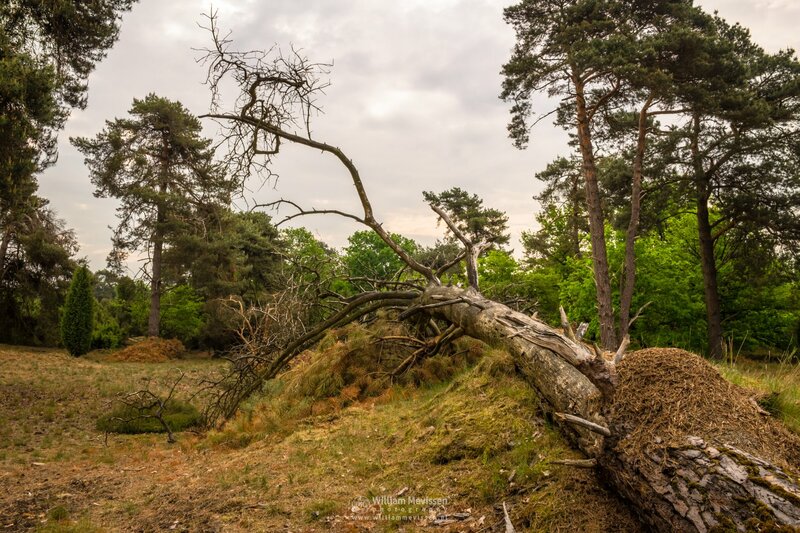 Fallen Tree at nature reserve Boshuizerbergen (Venray, Netherlands). Click here for more information about photo 'Fallen'. 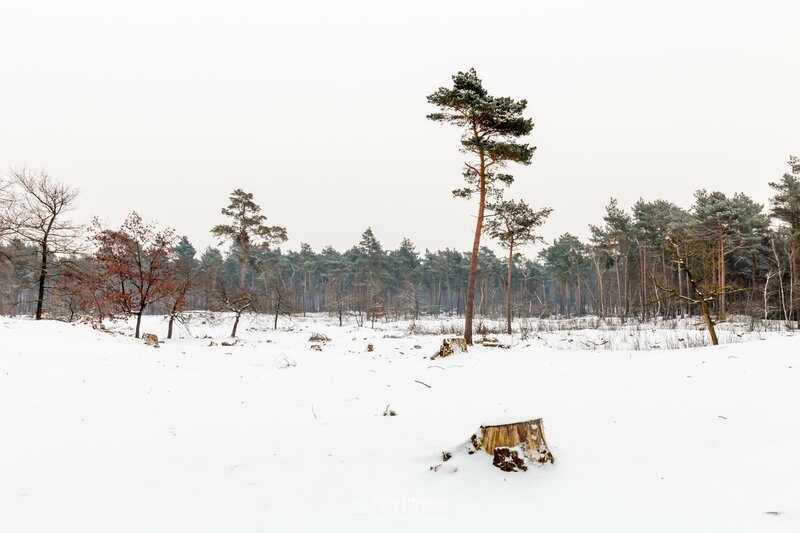 Desolate Land before sunrise at nature reserve Boshuizerbergen (Venray, Netherlands). Click here for more information about photo 'Desolate Land'. Trees are cut to increase wind dynamics and preserve the characteristics of the shifting sand areas. A foggy morning walk throught the forest at nature reserve Boshuizerbergen (Venray, Netherlands). 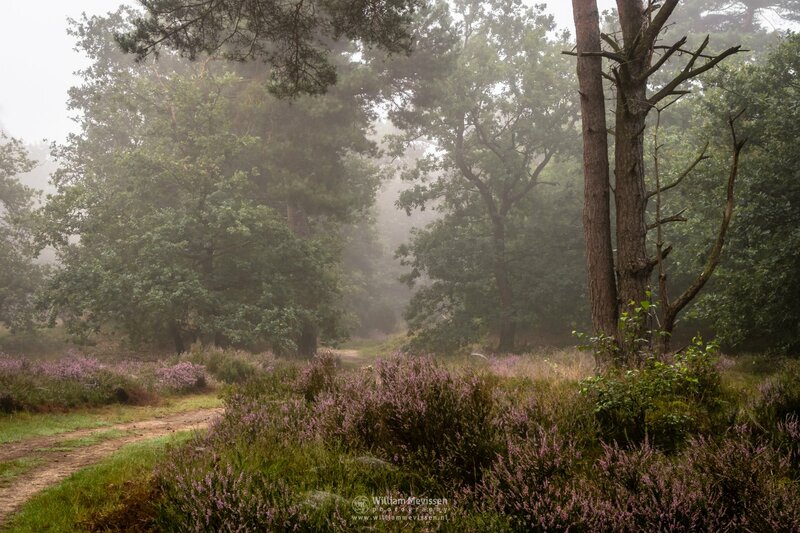 Click here for more information about photo 'Foggy Forest Heather Path'. Click here for more information about photo 'Tree Trunks'. 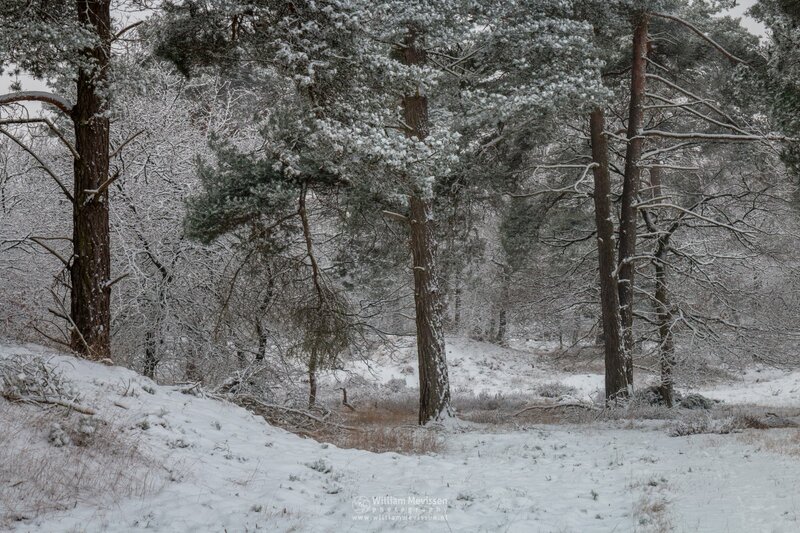 White forest on a grey and white winter morning at nature reserve Boshuizerbergen (Venray, Netherlands). 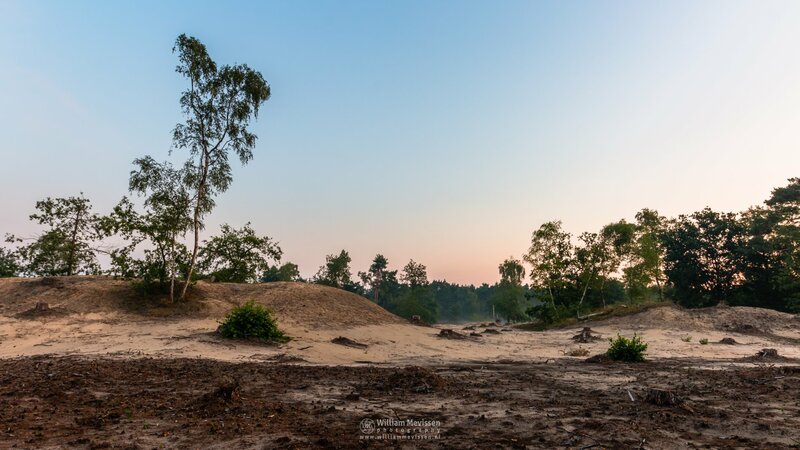 Panorama during a beautiful sunrise at nature reserve Boshuizerbergen (Venray, Netherlands). 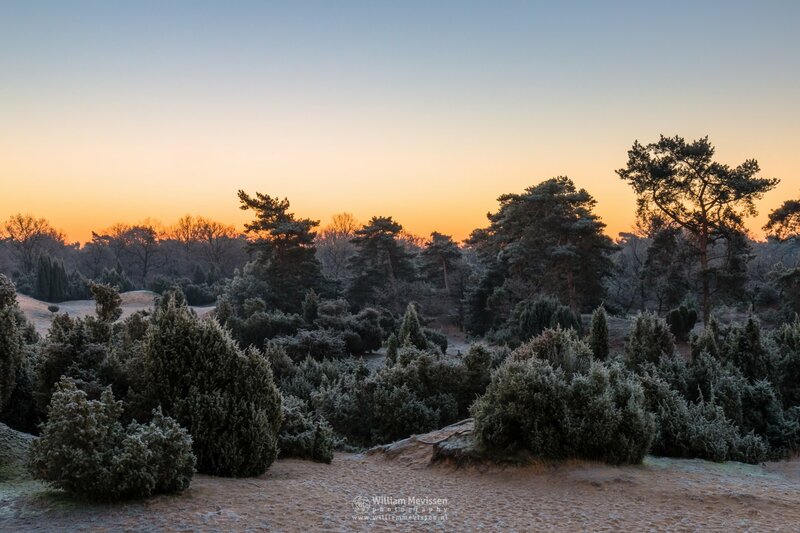 Click here for more information about photo 'Panorama - Boshuizerbergen Sunrise'. 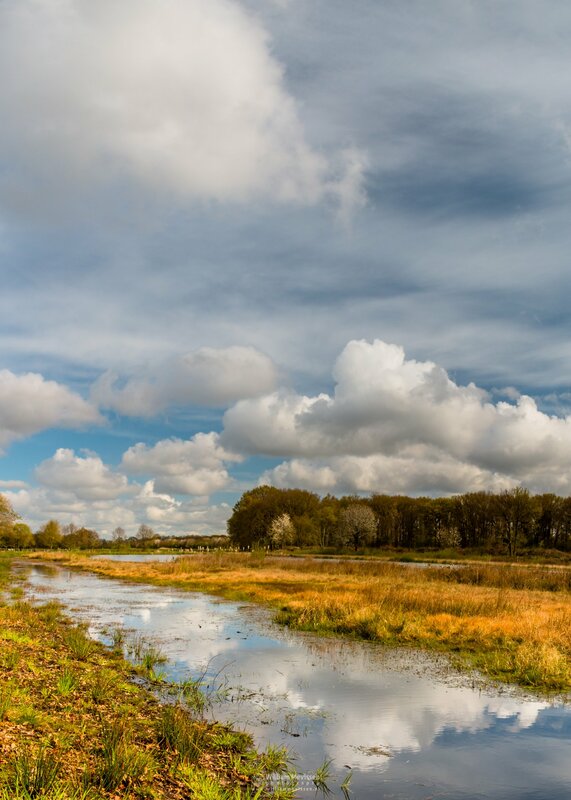 This is a panorama of 5 single shots and shows all the characteristics of nature reserve 'Boshuizerbergen': forest, shifting sand(dunes), juniper thickets, heather and then there is also the railway line between Venlo and Nijmegen. Expand photo and move mouse or swipe to left or right. 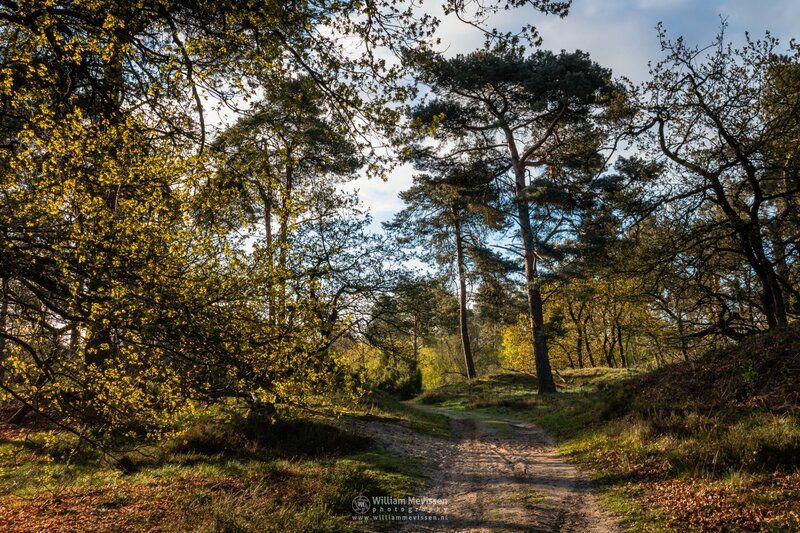 Spring Path in the forest of nature reserve Boshuizerbergen (Venray, Netherlands). Click here for more information about photo 'Spring Path'. Op Den Buus consists of partially dug out marshy grasslands at the edge of nature reserve Boshuizerbergen (Venray, Netherlands). Click here for more information about photo 'Op Den Buus'. This is a panorama of 2 vertical shots. Expand photo and move mouse or swipe up or down. 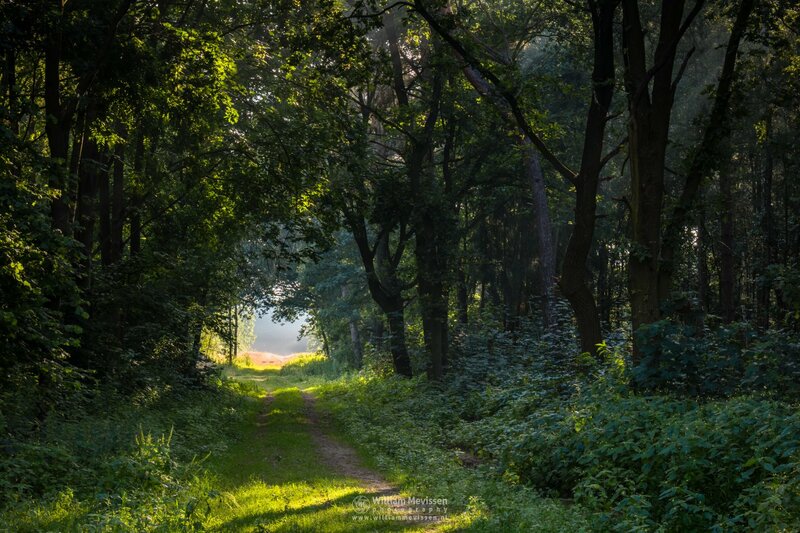 A beautiful path leading into the misty light at nature reserve Boshuizerbergen in Oostrum (Venray, Netherlands). Click here for more information about photo 'Path Into The Light'. A cold autumn morning in the juniper thickets area at nature reserve Boshuizerbergen (Venray, Netherlands). 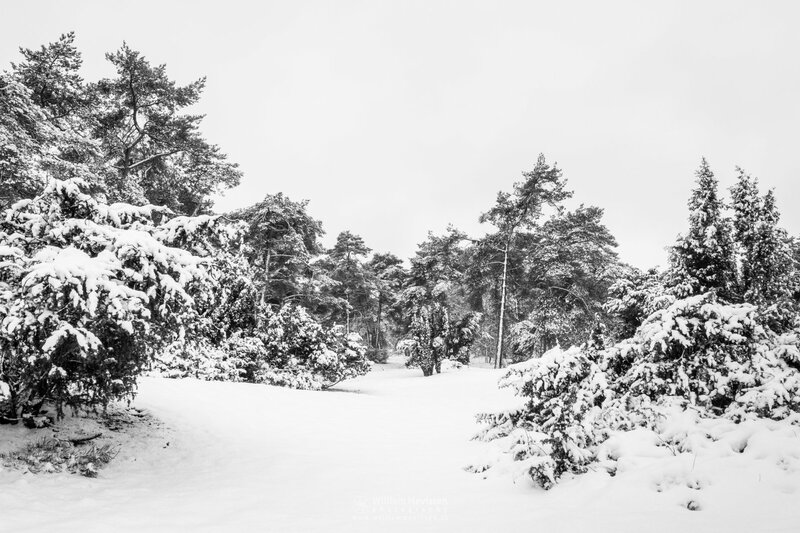 Click here for more information about photo 'Juniper Thickets'. Boshuizerbergen is located northeast of Venray and adjoins estate Landgoed Geijsteren. 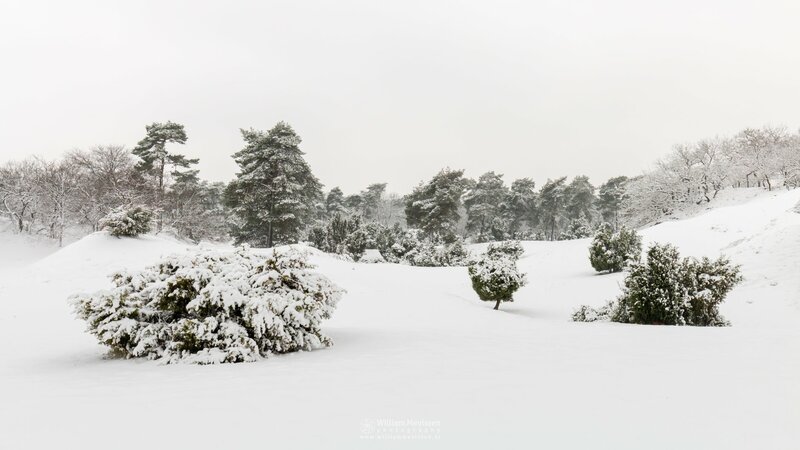 Characteristic for Boshuizerbergen are the shifting sand areas with a large core of juniper thickets and the surrounding pine forests.